Set up an appointment prior to the class to come to Simply Fabrics so we can custom fit the shirt pattern to you. Priced by the hour and separate from the class, fitting the pattern usually takes from 1/2 hour to 2 hours depending on the extent of the changes needed. Then bring the pattern to the class ready to cut out. 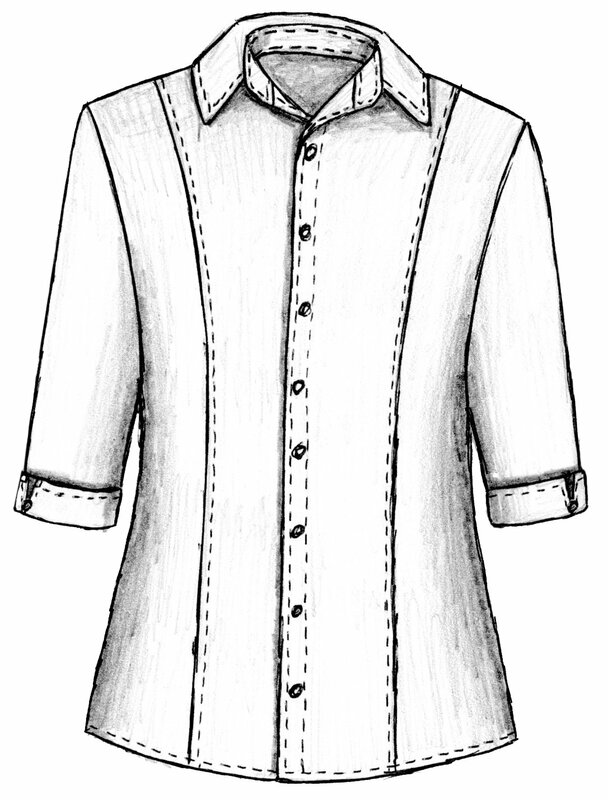 You will take home a custom-made shirt and pattern that you can make again at home. Please purchase and prewash and dry your fabric prior to the class. This shirt can be made out of a variety of fabrics. These include cotton, cotton blends, batiks, linen and most light to medium-weight wovens. Fabrics with some cotton content are going to be easier to sew than a polyester fabric. Do not use slippery or stretchy fabrics. Please call or come by the shop if you have any questions or need help with choosing your fabric.